According to WABetainfo, the feature is expected to first roll out on iOS and there is no word on the rollout for Android. Users of WhatsApp for iOS will soon be able to preview videos received in chats within push notifications. According to WABetainfo, the feature is currently available for those who have the latest beta version 2.18.102.5 installed on their iOS-powered devices. Their is no word on when the stable version of the feature will roll out but the popular WhatsApp watching platform says that it will be available soon. WABetinfo did not mention anything about a similar feature for the Android version of WhatsApp, so it seems that either the feature will only be availbale for iOS or Android may get this feature at a later stage. “WhatsApp is rolling out the possibility to view videos directly in the push notification for any iOS beta user having the 2.18.102.5 version installed! It will be available soon for App Store users,” WABetainfo said in a tweet. When a user gets a notification of a video being sent to it, he/she can pull the notification bar down to see the message. Although the WhatsApp watching platform hasn’t revealed information how exactly the feature will work but it is presumed that as soon as a user views the message, the video will start playing in the notification window. There is a possibility that user have to manually tap a play button (if any) to play the video in the notification window. Currently, WhatsApp has a feature to play a YouTube video in the chat itself, in picture-in-picture (PIP) mode, instead of opening the dedicated YouTube app. As shown in the image above, when users taps the link of a shared YouTube video, they can watch the video in a floating window and also simultaniously chat on the platform. The PiP mode also allows for functionalities like pinch-to-zoom and full-screen view. 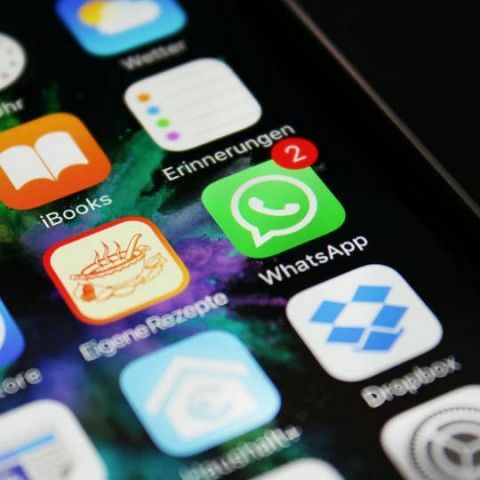 Recently, WAbetainfo reported that Apple is reportedly removing all the WhatsApp Sticker apps from the App Store because these apps are allegedly violating the company’s guidelines. The iPhone-maker had reportedly listed out three other reasons that prompted the company to remove these apps. Apple reportedly says that there are too many apps with similar behaviour, and it “requires WhatsApp to be installed. Apps should not require other apps.” The third reason that the company has reportedly given is that the design of all these apps is the same.